The house gets its name because its structural framing is exposed on the exterior of the house, with panels bolted together in a shiplap style. Conversely, the inside of the house is finished with stucco over tongue and groove siding! 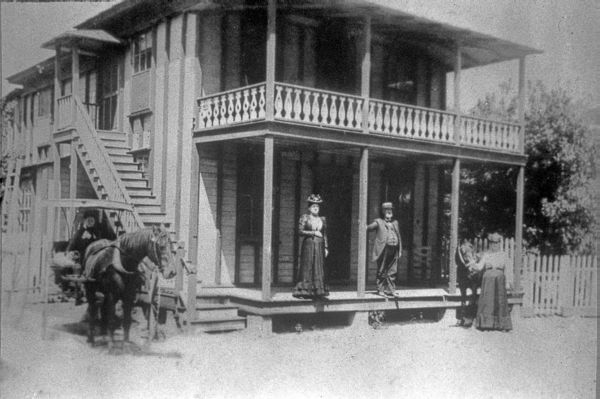 Dating back to 1873, this building was originally located in Altamonte Springs on Boston Avenue, near the old Altamonte Hotel and Lake Orienta. It was one of the earliest examples of a prefabricated house in the United States. It first arrived by steamship in Sanford and was transported by mule cart to Altamonte Springs before being re-assembled theres. It was owned by Captain W. Pierce, a retired sea captain. The first floor served as a cabinet shop, while the family lived in the upstairs. Pierce later became the president of the Orlando National Blank. The home is also notable for its decorative finishes along the front porch, balcony and roof line. Inside it has a tight wooden spiral staircase leading to the second floor. In 1973 the Longwood Historic Society acquired the house and raised the funds to have it moved from Altamonte to its present location on Church Avenue in Longwood. Before being saved by the Society, the building was being threatened with demolition. Today the Longwood Historic Society still owns and maintains the building. It is rented out to members Tom and Pam Reddit, who run the Cottage Gifts shop inside. It is open to the public, come and visit! Located in the Inside-Outside House is this quaint little shop. 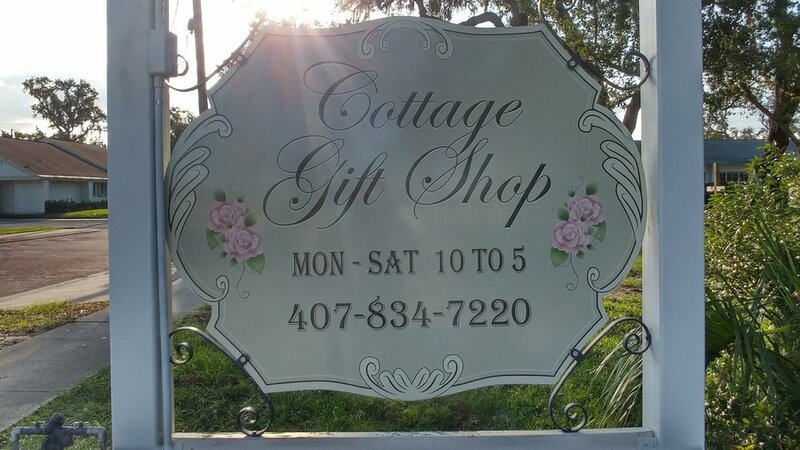 Cottage Gifts has been family-owned and operated by the Redditt family since 1995. They have a lot of unique gifts for just about anyone. It really is a great place to shop or just browse! You get the idea. I am telling you they have some cool stuff. They even offer monogramming. And because they are small, you get the one-on-one attention if you need advice. Inside-Outside House at its original location at 112 Altamonte Drive in Altamonte Springs. Seen in 1973 still up on the trailer before being unloaded at its new and current location on Church Avenue in Longwood.